The Supreme Court on Wednesday appointed Madras High Court judge Justice M Sathyanarayanan to end the controversy that erupted after the high court delivered the June 14 split verdict on petitions challenging the disqualification of 18 dissident AIADMK MLAs owing allegiance to AMMK leader TTV Dhinakaran. 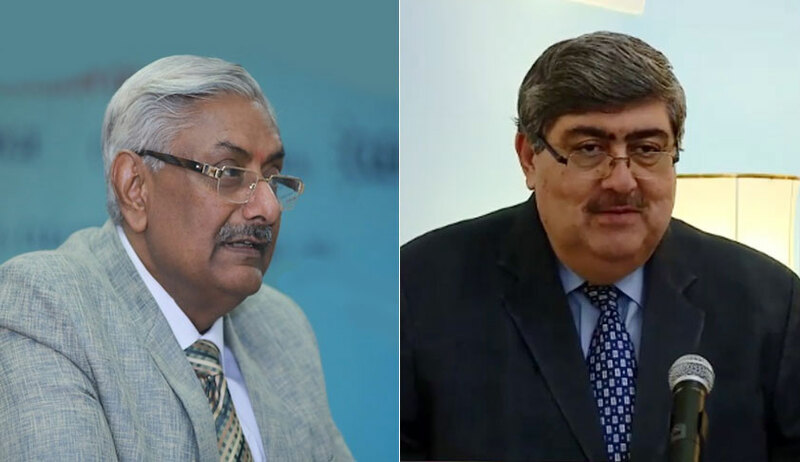 A vacation bench of Justice Arun Mishra and Justice Sanjay Kishan Kaul did not appreciate the averment in the transfer petition by P Vetrivel that the judgment in P Vetriivel v P Dhanabal was reserved for a period of six months, following which the split verdict was rendered. “We have some reservations as to this submission...you had argued for four months before the judgment was reserved...the judge is not a computer...also there is a misstatement in the writ petition that the judgment was reserved for six months...it was reserved on January 23 and the verdict delivered on June 14...you could have simply filed the transfer petition without this hullabaloo about the period for which the judgment was reserved...you must withdraw these averments...,” observed the bench. “Your Lordships are right...I should have said four months three weeks instead of making this casual observation...I will file an affidavit withdrawing the same...,” acceded Singh. Addressing the concerns expressed by the petitioners regarding a fair hearing before the high court, in view of Justice S Vimla having been appointed as the third judge by Justice HG Ramesh, the bench suggested that it shall nominate the third judge. It had been categorically stated in the transfer petition that there is a reasonable apprehension of not obtaining a fair hearing in the state of Tamil Nadu because of the fact that “the respondents are very influential and are the incumbent Chief Minister, Speaker and one of the affected party is the Deputy Chief Minister. Further, the daughter-in-law of the Hon’ble Third Judge has recently been appointed as Government Advocate, criminal side of the same High Court. Even on this count the present petition is liable to be transferred out of the State”. Singh sought to draw the attention of the bench to the matter regarding the use of the ‘Two Leaves’ election symbol before the Delhi High Court. “The ECI matter is before the Delhi High Court and Your Lordships have asked for the constitution of a special bench...,” he advanced. “We will nominate the third judge...but you will withdraw all allegations...there may be no aspersions as to any judge...,” the bench stated. “Allegations have been levelled against the Chief Justice...and she did not participate in the nomination of the third judge...,” argued senior counsel Aryama Sundaram. Disposing of the transfer petition, the bench on Wednesday directed that all allegations made by the petitioners against the judges stand expunged, including the aspersions against the Chief Justice regarding the assignment of the case. “We consider it appropriate to assign the matter to Justice M Sathyanarayanan who will hear and decide the same...,” noted the bench. Asserting that the term ‘allegations’ be replaced with ‘aspersions’, Singh agreed to withdraw the same. He also prayed that the judge so appointed be requested to decide the matter “expeditiously”.